This single story hollow-tile home has 3 bedrooms 1 bath + the laundry & Â½ bath off the 2-car carport. The living room is light and bright with nice windows for airflow, the kitchen has good counter space & cabinets and a dining area. There is a large covered lanai for extended living and enjoying the terraced garden area in the back yard. The property has rock walls & is fenced with a gated driveway. There is a small storage room in the carport area and a small metal shed in the back yard. The home is in great condition for its age and well cared for by the original owner. 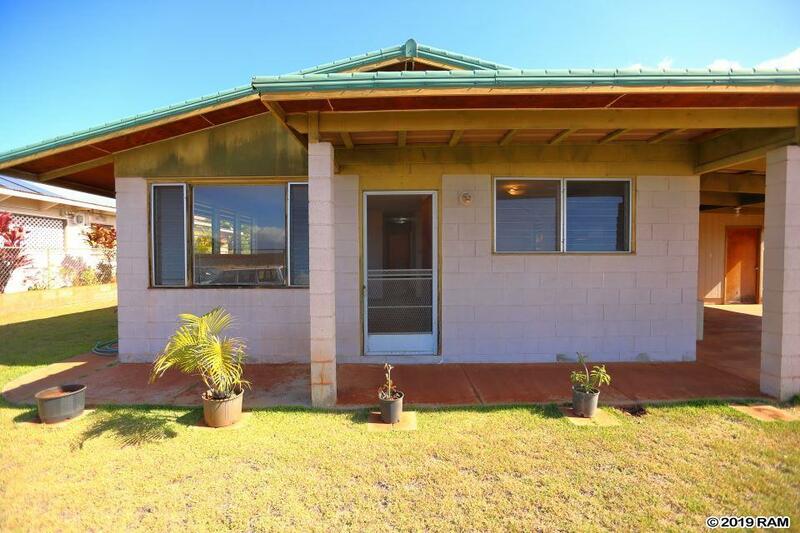 The property is located above the Lahaina by-pass in the Kelawea Mauka subdivision near the end of cul de sac & easy access to Lahainaluna Rd & schools.